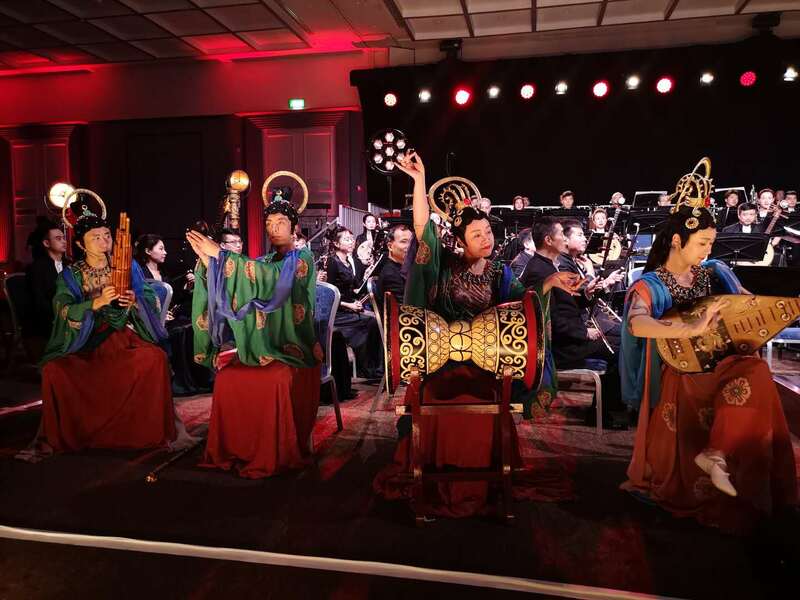 On July 24th, China National Traditional Orchestra, the world’s most celebrated and influential Chinese music ensemble, made its Irish debut to showcase heritage works Silk Road in a modern light at the 41st Galway International Arts Festival. H.E. 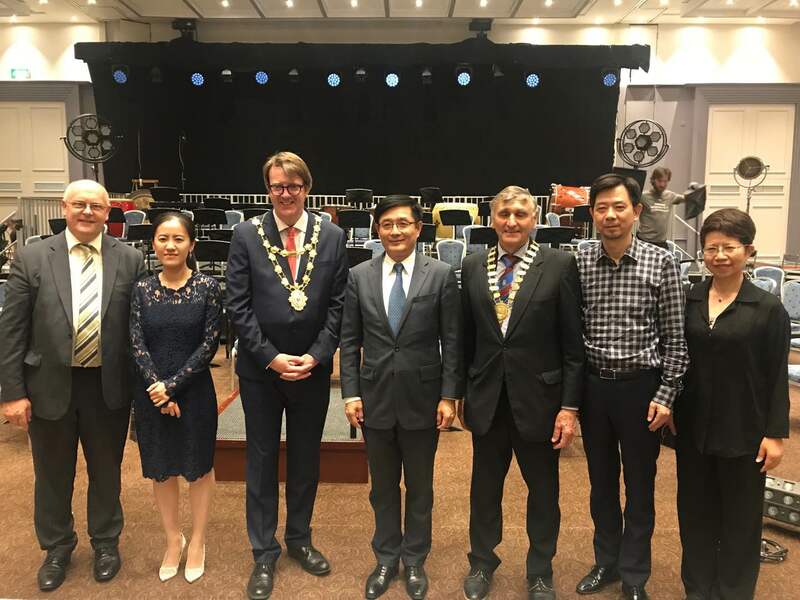 Ambassador Yue Xiaoyong attended the concert with his guests Cllr. 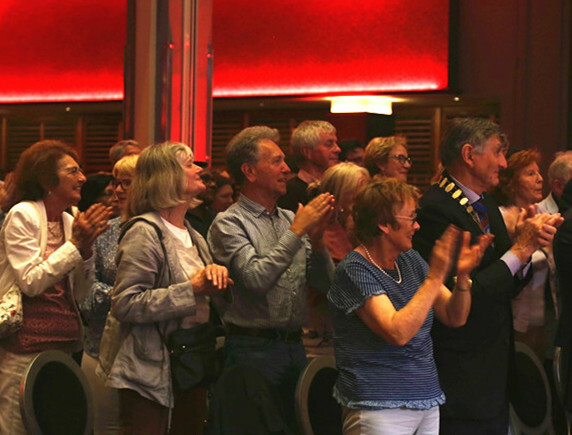 Níall Mc Nelis, Mayor of Galway City, Mr. Brendan McGrath, Chief Executive of Galway City Council, Cllr. Seán Ó Tuairisg, Cathaoirleach of Galway County, Mr. Kevin Kelly, Chief Executive of Galway County Council. 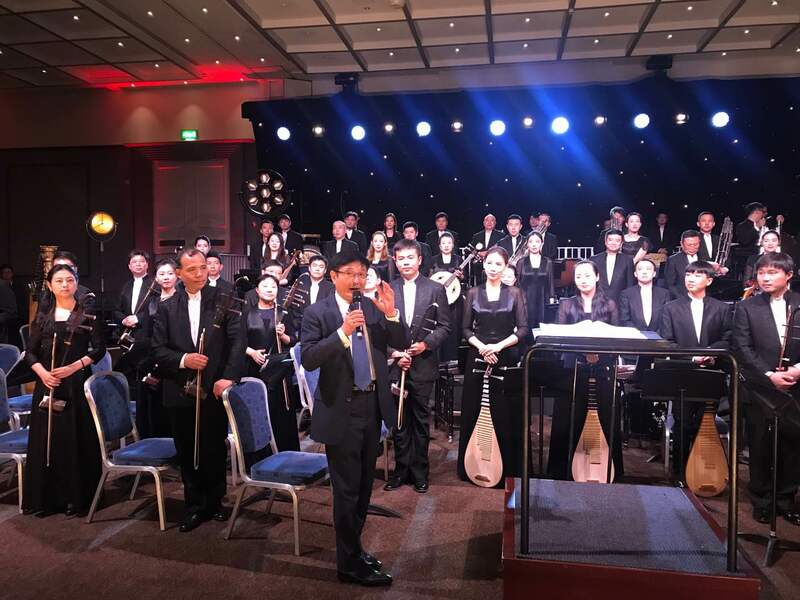 The full house audience from allover Ireland and overseas were mesmerized with traditional Chinese instrumentation, beauty and artistry, the East and West integrated in harmony, by standing ovations and applause to show their appreciation. 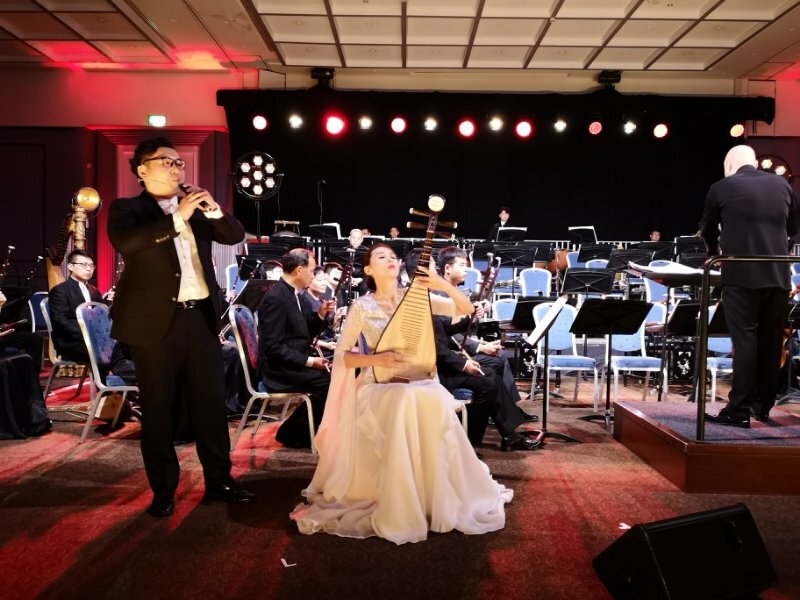 Ambassador Yue made an improvised speech right after the concert to extend his congratulations to the success of the Festival and gratitude to the audience and the artists. 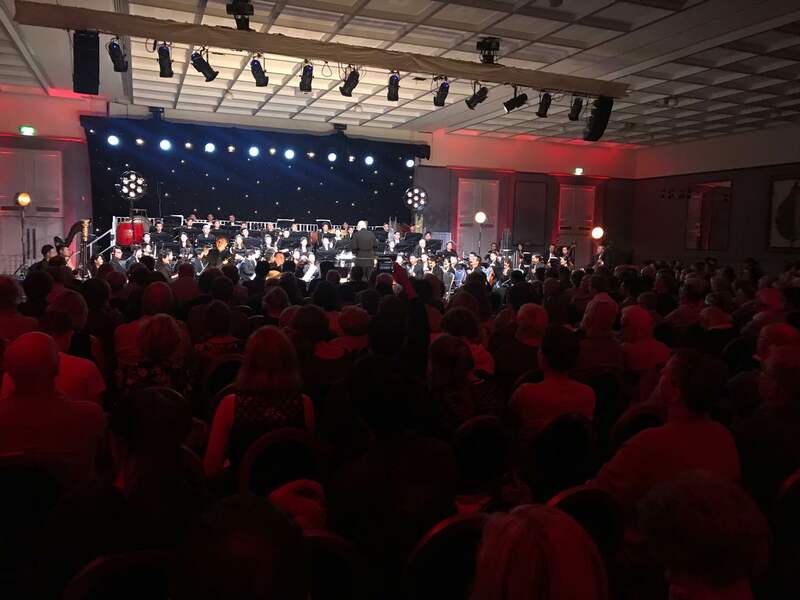 He highly praised the concert as a music feast that had brought Chinese people and Irish people so close with each other. He also regarded it as a new achievement of cultural exchanges under the Belt and Road Initiative. At last Ambassador Yue sent his best wishes for a more brighter future of friendship and cooperation between the two countries. 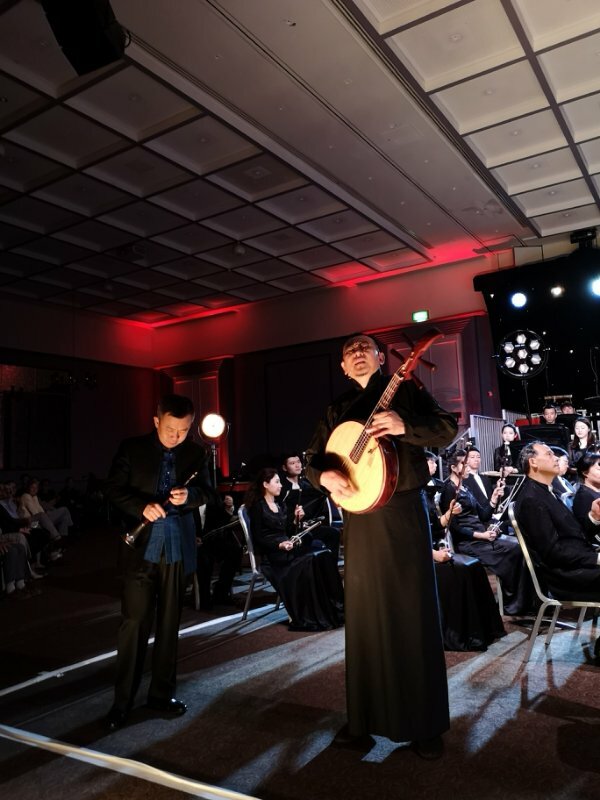 China National Traditional Orchestra was the only group from Asia at this Galway International Arts Festival, with its extensive repertoire of new and traditional works, surprising audiences by inviting them into a realm of a vibrant and re-imagined Chinese music experience.